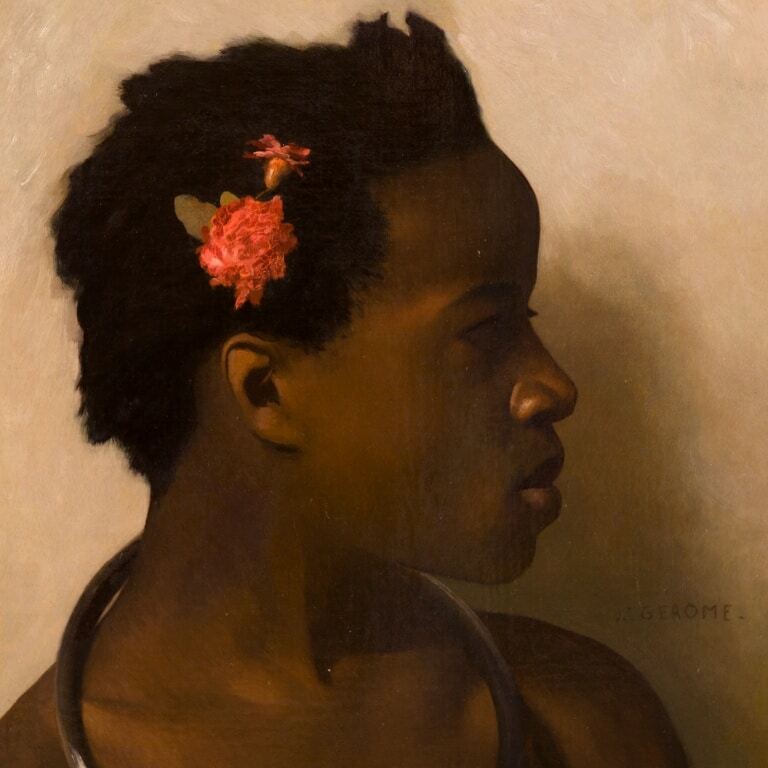 Black models, Le modèle noir, is an exhibition in Orsay museum about the coloured models in painting and photography from Gericault to Matisse. Open since March 26th 2019, the exhibit explores how black models were represented throughout the years from the western artists’ perspectives, in light of historical context and artistic trends. Orientalism, for example, was the imitation or idealized representation of harems – scenes from the eastern cities, which were very popular in the 19th century in Europe. It drew attention on black characters whom can often be seen as servants in harem paintings. We took a closer look at well-known paintings with black models to pique our own curiosity on the subject, paintings that sit in Orsay or the Louvre and that you can go see anytime. Marie-Guillemine Benoist displayed her Portrait of a Negress in 1800 in Paris, at a time when slavery was still at play despite being officially abolished. The portrait is most unusual since a black person was then not a trendy subject and even more so painted by a female artist, from whom more charming and family-friendly subjects were expected. 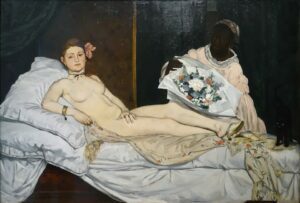 Olympia, the famously scandalous painting by impressionist painter Manet, features a black maid holding out a bunch of flowers to a prostitute. Slavery had been definitively abolished in France a bit more than a decade before Manet’s painting. 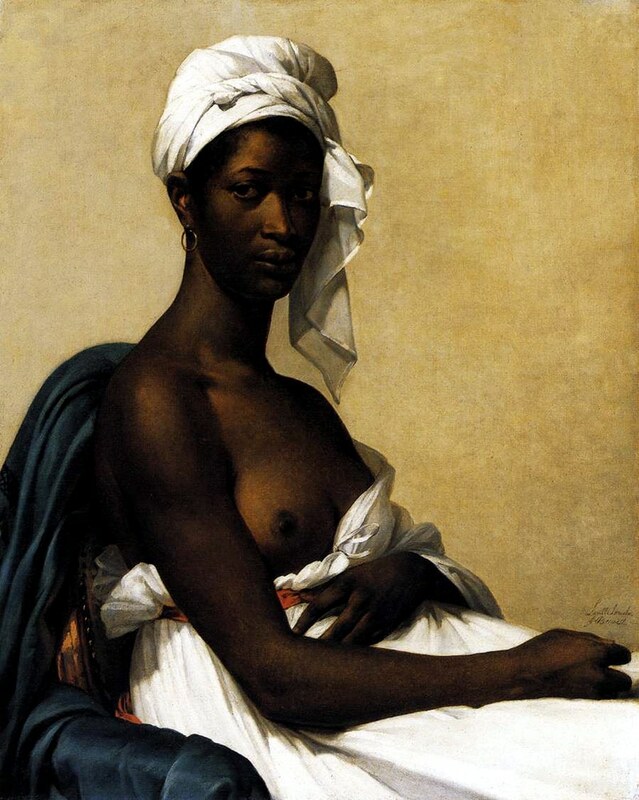 It was not shocking at the time to see a “free” black woman in a painting, as long as the social hierarchy was maintained, as shown through the demure attitude Laure, the black model, exhibits towards her mistress. In 1870, in line with the Orientalism trend, Regnault’s Execution without Judgement under the Moorish Kings of Granada was met with excitement and fascination by the french author Théophile Gautier. It seems the bloody scene foreshadowed the painter’s own violent end shortly after it was finished. The painting could be seen as one of the few that features Arabs in western art. 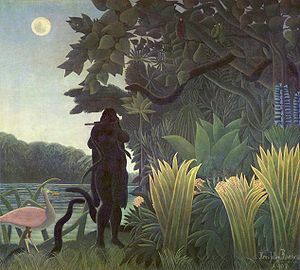 Douanier Rousseau’s Snake Charmer illustrates a European myth with an exotic twist; Rousseau shows off her “savage” beauty as a dark Eve and it is said to be the female version of Orpheus enchanting both the snake and the viewers with her flute. The Black Models exhibition in Musée d’Orsay will feature Henri Matisse’s work amongst others. The fauvist painter was well known for his love and collection of African masks and Inuit statues, and his numerous travels to northern Africa. If that piqued your interest and you want to know more, book a Private Tour of Orsay Museum with us and let one of our professional, local guides walk you all the history, beauty, secrets and more Orsay has to offer! This entry was posted in Art & Museums. Bookmark the permalink.